Searchers for the two killers who escaped prison in Dannemora combed all around Malone, N.Y. for the past three weeks. So the local 75-bed hospital — one that coincidentally plans to join the UVM Health Network — drafted contingency plans in case the escapees or any searchers required medical care. Sunday, officials at the Alice Hyde Medical Center were glad they did. A New York State trooper shot escapee David Sweat as he tried to run away less than two miles from the Canadian border. Sweat arrived at the hospital at 4:04 p.m.
Alice Hyde is in a residential neighborhood of well-kept Victorian homes. As part of their plan, hospital officials, with assistance of law enforcement, set up a perimeter to keep the media and civilian onlookers at a safe distance. 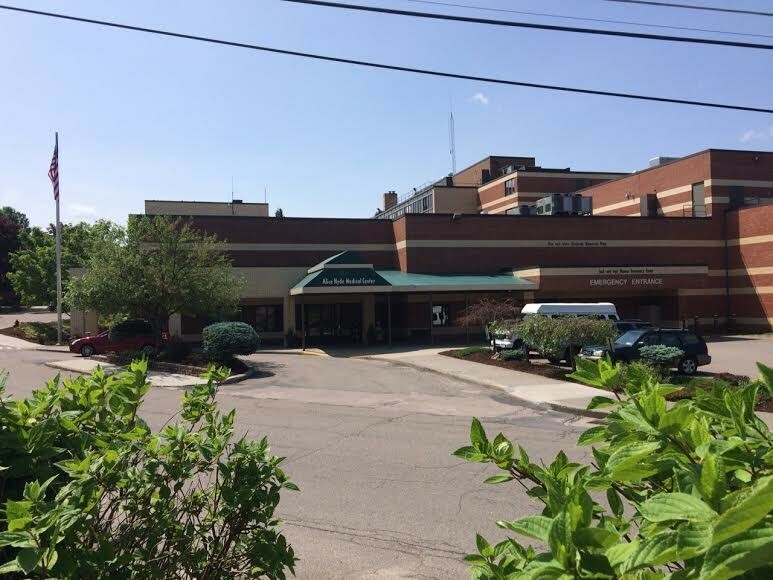 They also locked down the entire hospital to “prevent any unnecessary person from gaining access to the facility,” said Megan Avery, communications coordinator. The emergency room, however, was open to local residents who needed it. Hospital officials offered no details about the care Sweat received, citing patient privacy. Sweat departed the hospital a little later at 6:45 p.m. in an ambulance. He was transported to Potsdam Airport, flown to Albany International Airport and taken by ambulance to Albany Medical Center. Sweat was moved, Avery said, because the Albany hospital has a trauma facility equipped with a locked unit for potentially dangerous individuals. The Albany Times Union reported Sweat was admitted to the Albany hospital Sunday and was critical, but his condition has since been upgraded to fair.